Problem: Students said they wanted to learn more about color. To relax and explore color options. To test a variety of media to achieve color. Resources: So that students could see color in extreme fashion settings we visited sites related to Rio Carnival and Venice Carnival and Austin Carnival. 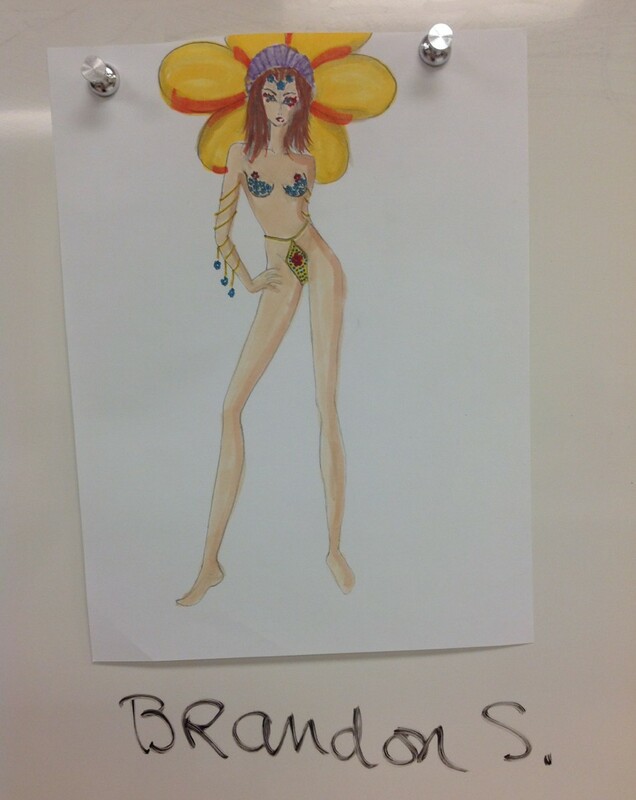 Materials: We tried out different media to create color including color pencils, pastel, markers, and watercolor. 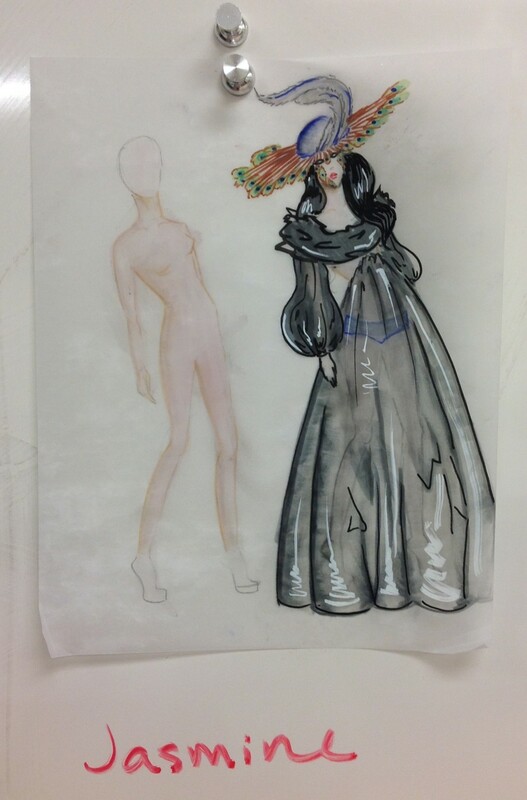 Assignment: To design on top of student-created croquis an outfit that represented a color palette for Rio, for Venice, or for Austin Carnival. 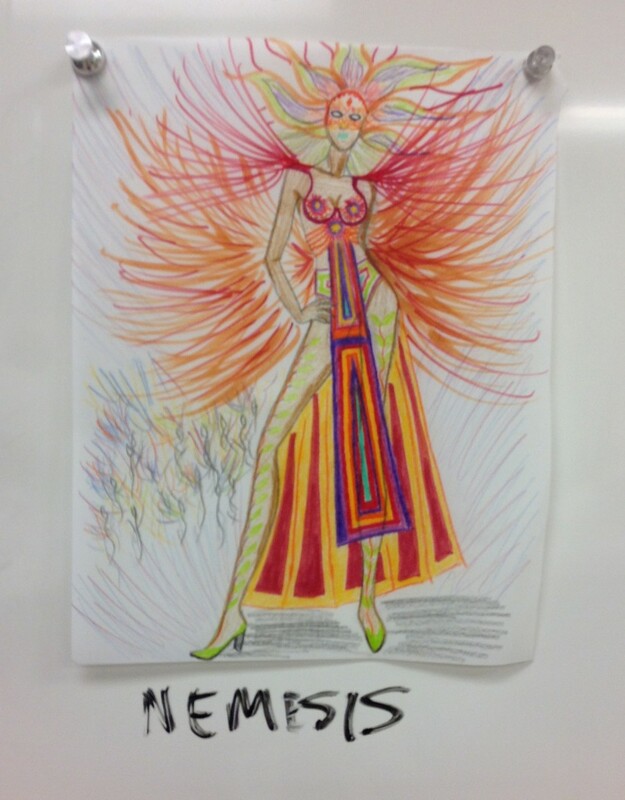 Results: Students forgot about their fear of color and launched into drawing dramatic outfits for Carnival. Some students selected to combine Rio and Venice. Reflection: We discussed how having a real world application and learning about existing color palettes will ease fears of using color.